Indeed. I don't think my orthodontist's office kept anything from me intentionally. I think each person thought another had told me and/or it was common knowledge that Invisalign treatment often requires attachments. They seemed surprised that it's not mentioned on Invisalign's website. That's where the false advertising really is. Before going to the orthodontist, I read Invisalign's website -- the ENTIRE site; every single word -- and attachments aren't mentioned anywhere. In fact, the site constantly emphasizes that the aligners can easily be taken out... implying that you would then have just your normal bare teeth for taking pictures or eating. That is misleading. What a nasty surprise! I hape that your invisalign doesn't also get much more expensive because of this... I'm still curiously following your progress to decide wether I think it is worth to fix my own crooked teeth! Very nasty! I was NOT happy to hear it. I seriously considered saying no and ending the whole thing on the spot. It took some convincing before I decided to go ahead with treatment. The cost didn't change. Cost is an all-inclusive price based on the treatment plan, and the plan always included attachments... they just neglected to tell me that part. I paid about 25% of the total cost at the start, and the rest is being billed at $100 per month. Although it's a horrible surprise, perhaps something in your treatment determined the need for the additional attachments? This things are modified for the individual so that they get the best results. Maybe you should ask you doctor about the best way to remove the aligners. There might be a trick to it. Each plan is specific to the individual, and it's true that the orthodontist doesn't know exactly what's needed until all the scans are completed. But she or her assistants should have told me that attachments were a possibility. In fact, I have since learned that most patients need attachments, so the orthodontist's office should be sure patients are aware of that. To them, it's common knowledge, but how would patients know if they aren't told? The assistant did advise me on a different way of removing the aligners -- one that is completely contrary to the original instructions -- and it does work better. So true! The aligners and now especially the attachments make eating so much trouble, it's hardly worth the effort. I have to chew reeeeeally slowly to avoid biting my cheek, and I get tired of eating before the meal is half finished. :P That's not all bad, though... it is helping me break the comfort eating mindset that added those extra 20 pounds to my hips. Reading this takes me back, I've been wearing Invisalign for almost two years now. They pulled the same crap with the me lol. It was when I first wore my trays and was fighting off canker sores that they called me up to say I needed to be fitted with attachments and elastics, and have my bottom teeth shaved down. I was really angry for the same reasons you are. Now I don't notice the attachments, buttons or elastics, but I hear they might be moving the elastics inward to try and pull in this one trouble maker tooth (the itty bitty guy that lives between the canine and the incisor). That would make my elastics far more noticeable. >:( I'm also annoyed to know they might have to re-mold my teeth for the third time because the computer made an incorrect estimate. <- Expect this to possibly happen to you, by the way. 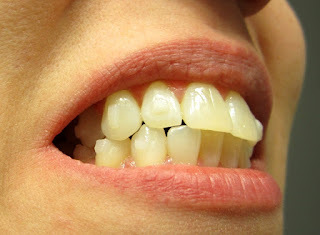 Just as you reach your half way mark they'll look at your teeth to see if it requires another casting. This could put you off schedule considerably. Initially, they had planned that I'd be done this October, but I had to have another mold made last fall because one tooth wasn't catching the tray. I had to start at 1 out of 45 all over. And now, as I approach the half way point AGAIN, I'm told we might have to take another mold. This takes my plan from lasting two years to anywhere between two and a half to three years or more. At least the re-molding process is covered; at one point Invisalign expected you to shell out more money for *their* errors but recently they decided it would be covered in the full cost. I hope you have better luck with Invisalign than I've had! 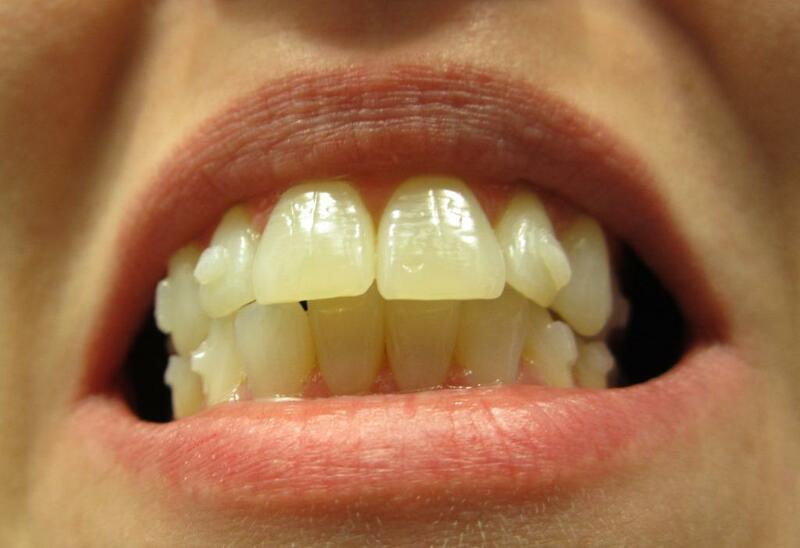 I had heard horror stories about computer miscalculations requiring people to start over with new sets of aligners. The orthodontist I chose has a reputation for being super picky and for scrutinizing the computer plans and tweaking them to be more realistic... which is one reason I chose her. There's no guarantee, but I hope her attention to detail will make it less likely that I have to start all over. She did tell me that they generally do another scan (they do a computer scan/photo sort of thing instead of molds) around the halfway mark (which will be at 22 weeks for me) and that the treatment plan might have to change or be extended at that point. My upper incisors need a lot of reining in, and I have one oddball crooked premolar that will have to move quite a bit... so I'll just have to see how the next few weeks go. A coworker had a little doodad she used to pry the things off her teeth when she needed to eat. Looked like a little hook. Nifty. I would need such a tool if not for my fingernails. Bare fingers aren't useful until I can pry the molar end of the aligner off far enough to get a grip on it. I feel like the doodad was not some aftermarket thing- I feel like it's an Invisalign thing. Maybe someone didn't give you your doodad? I can ask my father, he's a dentist, he invisis people's ligns. Would make sense if it's an Invisalign thing, and I can see it being a necessity for anyone with super short fingernails. It might also be a tool I'll need when I start using elastics. I'll ask at my next appointment cuz now I'm super curious.